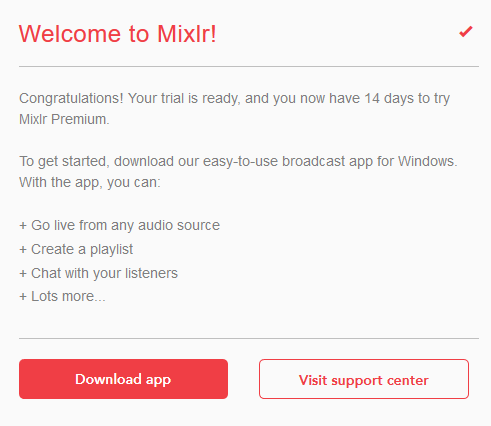 If you are new to Mixlr we recommend starting with a free two week trial. This lets you benefit from two weeks of free broadcasting with the plan of your choice before you decide to purchase a subscription. You can sign up for a free trial by going to our website and selecting Start free trial. 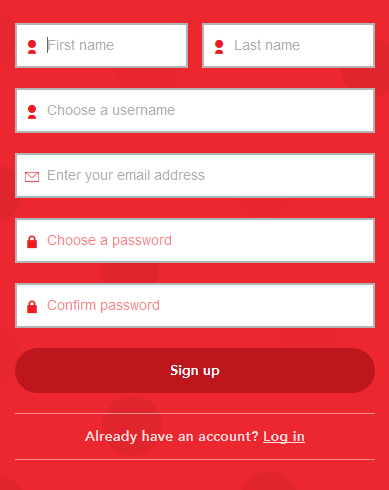 TIP: if you have already created a Mixlr account but you haven't signed up to a trial, contact us here and we'll be able to set one up for you. On the next screen you'll be able to choose a plan. You can read more about our different plans here. Once you've selected a plan you can create your new Mixlr account. TIP: don't forget to check your inbox for your activation email after you sign up. 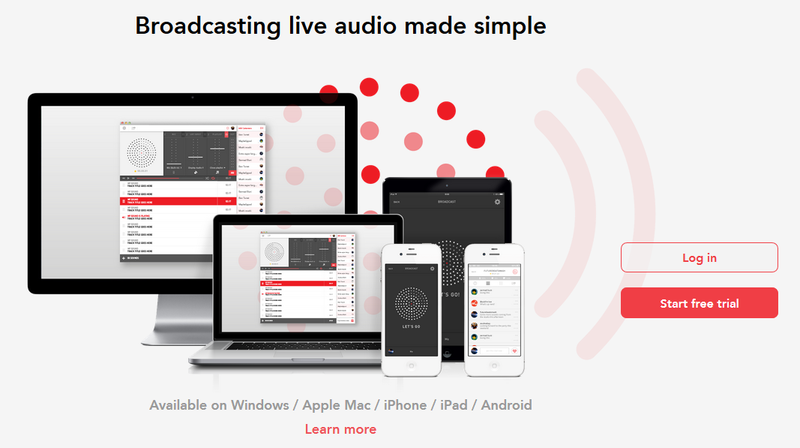 You can now download the Mixlr app and start broadcasting! See our article here for information about downloading the Mixlr app.